Since my first visit to the Florida Everglades, the richness and vastness of the land and diversity of the wildlife have captivated me. The feeling I had was as if I had walked back through time—wild and pristine. The reality is this land is not what it once was, it is ever changing and it is endangered. There is no other environment like the Everglades in the world, a habitat completely controlled by the flow of water. As a documentary fine artist trained both in photojournalism and in the fine arts, I am bound to seek honesty in my subjects and to communicate the spirituality of the moment. My work focuses on documenting intimate portraits and unexpected views of the landscape, and to tell their story. As an artist I also try and capture the emotion of what I feel while I am in the scene. I search for what many may see as ordinary and use the lens to discover the extraordinary. 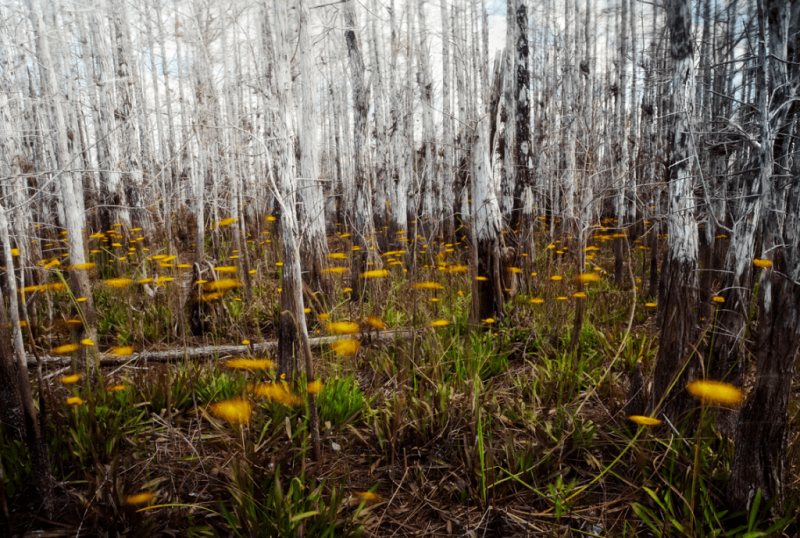 My work has been published nationally, including Life’s Year in Pictures and has been exhibited in over two-dozen juried shows, a joint exhibit and will have a solo show of the Everglades work at the Everglades National Park in 2014. I’ve won many awards including the 2012 Canon Project Imaginat10n contest. Selected by Julia Dolan, Curator of Photography at the Portland Art Museum.